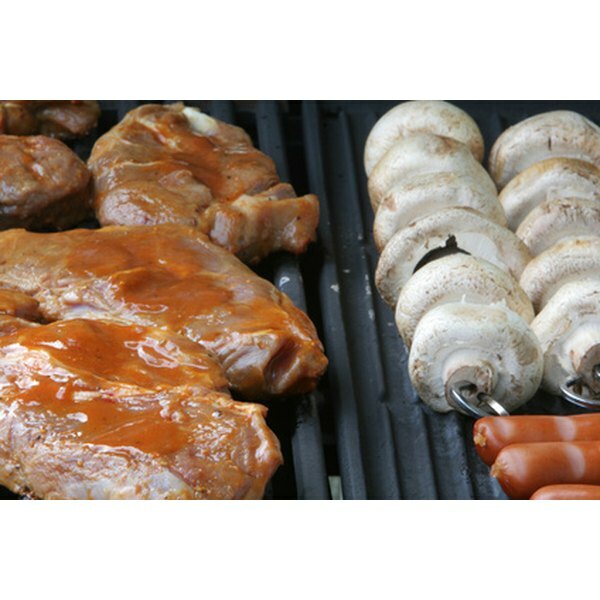 Metal smoker boxes add hardwood smoke flavor to a variety of foods prepared on gas grills. Hardwood smoke imparts a natural seasoning to meat during grilling that brings outdoor barbecuing to a new level. 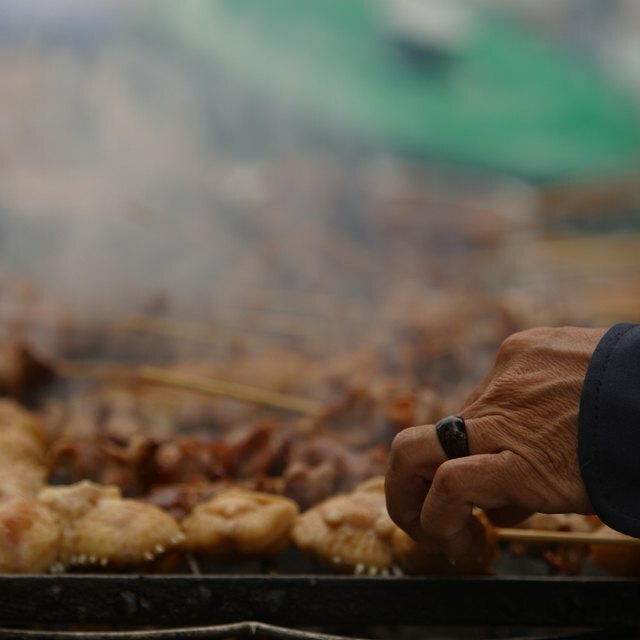 Though often associated with charcoal-fueled grills and smokers, gas grills become smoking devices with the addition of wet hardwood chips and small metal containers known as smoker boxes. Using these devices allows for the best of both worlds--the flavor of hardwood smoke with the convenience and ease of cleanup inherent in gas grilling. Dump the hardwood smoking chips in a large plastic bowl or bucket and soak in water for at least an hour before grilling time. Scrub all char and debris from the grill grate, using the wire grill brush. Light all grill burners, close the lid and allow the grilling chamber to heat to about 400 degrees Fahrenheit. Soak a folded paper towel in olive oil, open the grill lid and use long-handled grilling tongs to drag the towel across the cleaned grill grate to lubricate the cooking surface. Place a handful of wet wood chips inside the metal smoker box and place the lid back on. Lift the grill grate with long-handled pliers and place the smoker box directly atop the burner on the far right side of the grill. Close the lid and heat until the smoker box begins to emit hardwood smoke. Place your meat on the grate above the burners offset from the smoker box. Close the grill lid and cook to the desired or recommended meat temperatures. Always soak the wood chips ahead of time. Wet wood produces more smoke, which imparts better flavor tones. For long grilling times, periodically replace soaked wood chips on the smoker box when smoke ceases rising from the box. For more flavor and tenderness, turn off all burners except for the one directly below the smoker box and grill at temperatures between 300 and 350 degrees Fahrenheit for longer periods. Never light a gas grill with the lid closed as gas fumes build up inside and can explode upon ignition. Always wear heat-resistant mitts or use long-handled pliers when handling hot grill lids or grates. Use long-handled grilling tongs or spatulas when moving or removing meat from hot grills.